Help remind yourself of the chemical elements by using your computer's screen saver to display the periodic table. 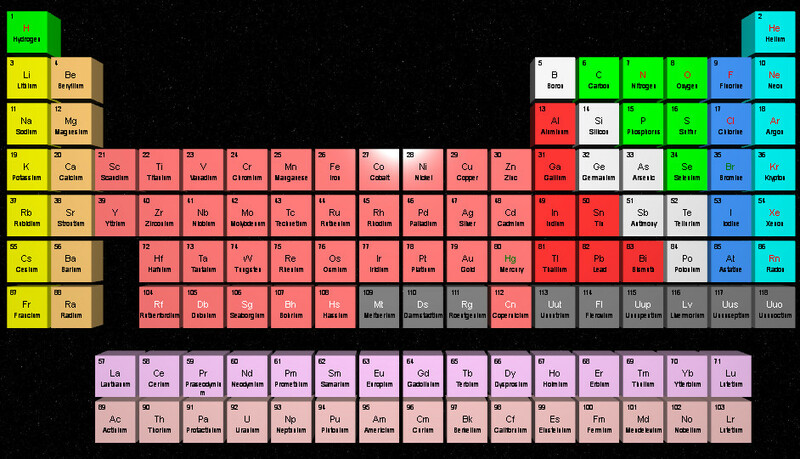 With this ready to use template, you can turn your computer's screen saver into a reminder of the periodic table within seconds. Using the CyberFlair 3D Impressions Studio, use the 'Create from Template' option and double-click the 'Periodic Table' template from within the 'Science' group. After the 3D Impression document is created, the 'Getting Started' screen appears for you to 'Save as Screen Saver' (this allows you to save to one of the three screen saver slots). Then, to configure Windows to use CyberFlair 3D Impressions as your computer's screen saver, you need to use the 'Use Screen Saver' button on the 'Screen Saver' ribbon category. After, you can then use the 'Test Screen Saver' button, to see how Windows will play your saved screen saver files. With the CyberFlair 3D Impressions product, you get this plus many other themed templates to use throughout the year. All for a one-off, low-cost purchase. » Click here to download a free 14-day trial. « Back to List of Other Templates Included. Keywords: periodic table, chemical, elements, atomic, subatomic, gases, metals, lanthanides, actinides, halogens, gas, liquid, solid.